Yesterday, I was watching outside as the wind picked up, clouds quickly gathered, and mothers with their children raced from the park across the street to their cars. I knew it was going to rain. But, the intensity of the wind increased to alarming levels and a whining roar filled the air, getting louder and louder (as if an airplane was going to land on Love Street). I wondered what was happening. 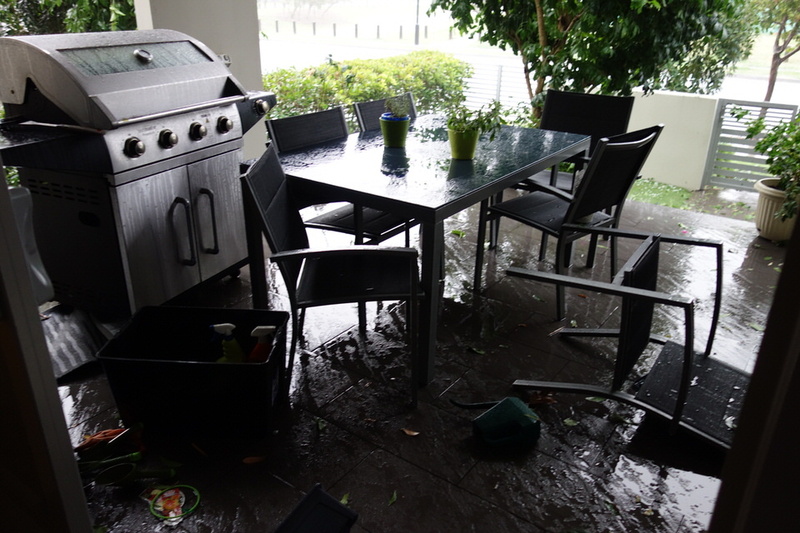 Suddenly rain, wind and driving hail blew in with such intensity my barbecue started sliding across the front patio along with chairs and hail and leaves. It was a shame that I didn’t think to grab my camera and record the storm in it’s initial intensity, but I was busy racing to close the metal shutters on the outside of the windows because I was afraid the glass might break. But 15 minutes later, the golf ball sized hail had already started to melt away and 30 minutes later Ed started to rake up the leaves and debris as the sun began to shine. Today, I am staying indoors, watching with interest as the bright sunshine momentarily disappears so that the rain can plummet down in torrents, before clearing to sunny skies again. 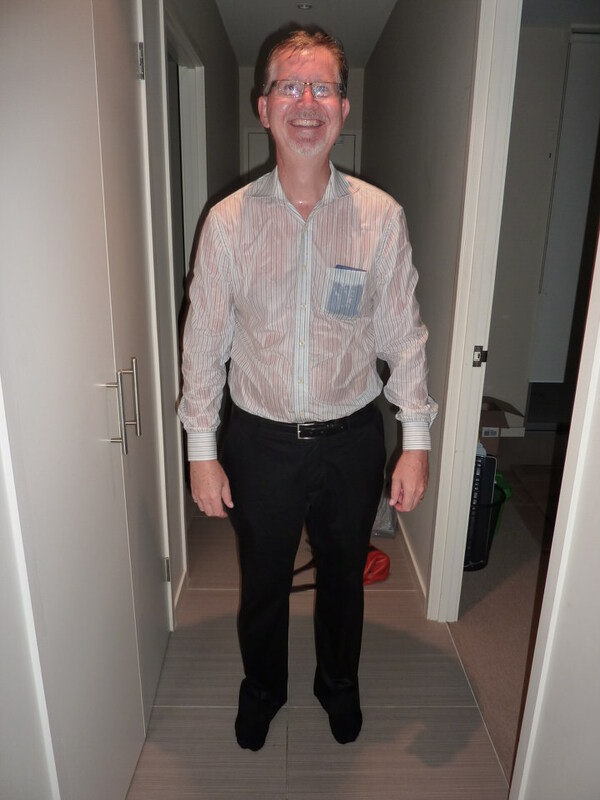 Here you can truly say that when it rains, it pours! 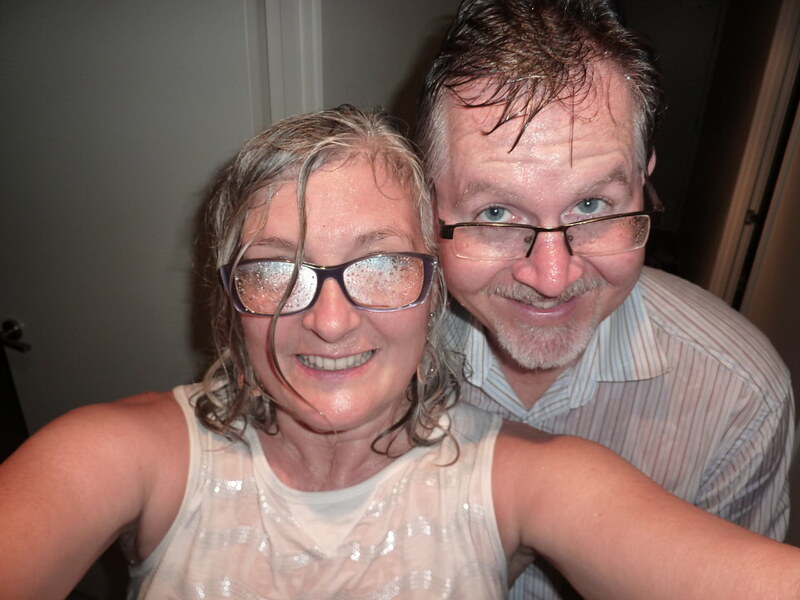 This entry was posted in Our Brisbane Life and tagged Rain, Weather. Bookmark the permalink.